After shooting 40,000 elephants to prevent his local bit of savanna in Zimbabwe from dying—to no avail—Allan Savory was determined to find a better solution to desertification. His Holistic Management system was selected by the Food and Agricultural Organisation (FAO) as one of 40 initiatives that are revolutionizing the food system and it is a two-time semi-finalist in the competition for the United Nations Land for Life Award. Most climate change mitigation efforts focus on reducing the effects of fossil fuel use. But agriculture, not only industrialization, is contributing to climate change. Apart from methane and carbon dioxide emitted by cattle, land use changes are contributing factors. Plants are a carbon sink, they help store carbon in the soil. About two thirds of the land worldwide is turning into desert, meaning carbon sinks are lost. The biggest cause for desertification is overgrazing by cattle or grazers such as elephants. Overgrazing is the number one cause for desertification. This is taught in universities the world over. Counterintuitively, Savory proposes a revival of the land by quadrupling cattle numbers. He studied ancient ways of land management. In the past, the land was grazed by large herds as the numbers reduced predation risk. These herds inevitably sullied their food source with dung and urine, so they had to keep moving. The motion prevented overgrazing, that is, prevented the herds from chewing up all the grass in an area and leave bare soil in their wake. If cattle and wildlife are removed from the land, however, grass is not eaten by animals and it can not break down biologically. The land and the grass begin to die. The oxidation kills and smothers grasses transforming the landscape into woods or bare lands. To prevent this, people commonly burn the grass, but this creates other problems. Savory explained in a Ted talk in February last year that one hectare of grassland, when burned, releases as much carbon dioxide as 6,000 cars. Every year in Africa, 1 billion hectares are burned. Savory believes that 10,000 years of continuous grazing by small cattle herds that would stay in one place too long—long enough to eat too much grass—created the great deserts. The great cattle ranges formed in the last century accelerated the process. Holistic Management entails detailed overall planning and continuous day-to-day replanning to control how much grazing is done in a given location. It differs from rotational grazing in that the grazing impact on the vegetation is continuously monitored and the cattle is shifted if too much damage is sustained to the vegetation or if more dung and urine is needed in another place. It differs from other cattle management systems in that the placement of the corral itself is part of the environmental restoration plan and more factors than just the cattle’s needs are taken into account, such at the needs of brooding birds. Overall, the land is grazed more intensely in a shorter period of time. The effect of Holistic Management is that bare land is covered by dung and urine and the topsoil is broken up by the hooves, enabling water to penetrate. Grasses are not chewed up to the roots and the leftovers, as well as the dung, are partly trampled into the topsoil. The topsoil cover prevents water and greenhouse gas (carbon, methane) evaporation. The need to burn the grass is eliminated, preventing carbon dioxide release. 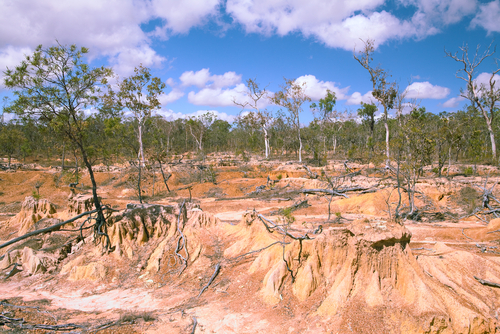 While the land recovers, the vegetation will increasingly serve as a carbon sink. Desertification is prevented or controlled, leaving the land to sustain local communities and preventing social disorder. Allan Savory on Ted Talks. Seth Itzkan, long-time climate change mitigation consultant, speaks about the management of grazing.